Happy new year to all our readers! 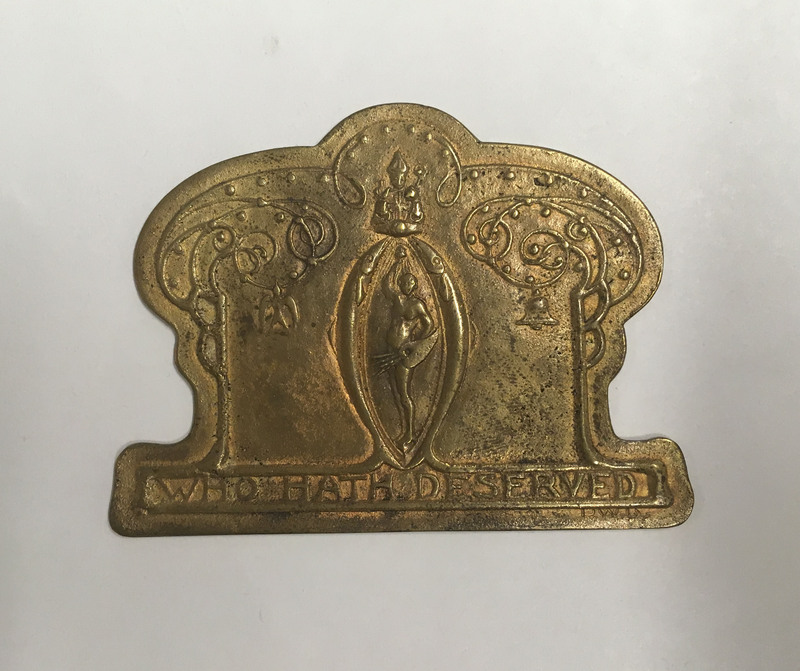 To kick start our 2018 blog posts, we thought we’d look at some of the new pieces that have been recently accessioned into the collection. Each year our curator Peter Trowles collects diverse pieces from prize winning students at the GSA Degree Show. Peter was good enough to be interviewed about this subject and you can read a transcript of this interview below. Tell me about the pieces that were chosen as prize winners in 2017? The choice of some of the work is dictated to us by the awards and prizes committee and my task is to make contact with the students and say that they’ve been a prize winner. Generally we try to ensure that we engage with the students and ensure that they are happy with the piece of their work which has been chosen and that it is a good representation of them as an artist. Silversmithing and Jewellery student Andrew Fleming was the recipient of the Peter Wylie Davidson purchase prize in 2017. This was set up with funds from the family of Peter Wylie Davidson with the idea that money is set aside each year to buy a piece from one of the strongest students in the year in memory of Peter Wylie Davidson setting up the department. 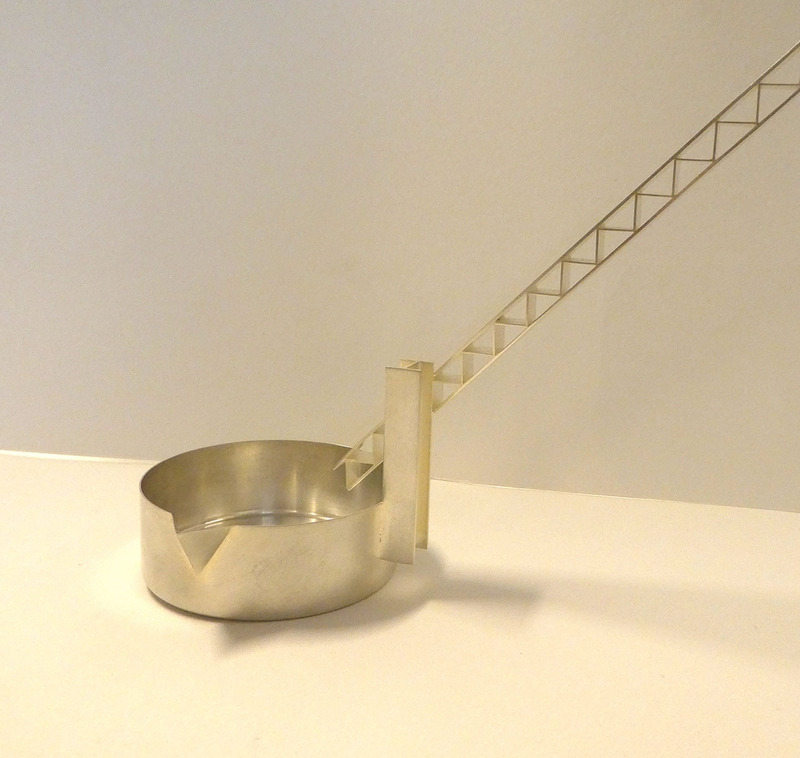 The family of the Davidson’s are very keen to see that money being put to good use in benefiting GSA’s Silversmithing and Jewellery students and it also means that we’ve now got a small number of items which reflect the Davidson name in perpetuity. Jug by Andrew Fleming Silversmith (JAC 77) Image courtesy of the artist. 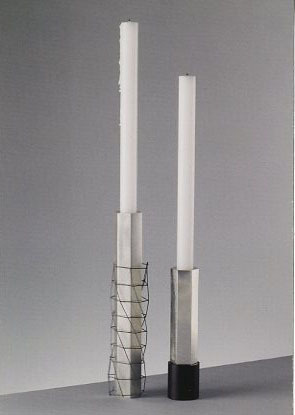 Pair of candlesticks by Andrew Fleming Silversmith (JAC 77) Image courtesy of the artist. There is another prize called W. Hutchinson prize, a drawing prize set up by William Hutchinson himself when he retired. He left the School money of which it has spent a small amount each year to give this prize. One of the pieces from 2017 was an animation and the other was an architectural drawing, so you can see the breadth of work that can be chosen from different disciplines. We also have chairman’s medals, which I believe were first awarded in 1995 on the 150th anniversary of the School. These are judged by a committee as being the best in Fine Art, Design and Architecture. We get a named student for each of these winning areas and then I go to the student to ask if we can buy a piece of work for the collection. Why were these students prize winners in your opinion? The decision is made by an awards and prizes committee. It is a selective process where staff meet and nominate individual students and those students are recognised for being the most innovative or most successful in their year. I have never had to choose the prize winners, but I do have to decide how to best represent them in the collection. Sometimes there can be challenges in the fact that the committee are choosing pieces based on the merit of the art work, meaning that some pieces are temporary, large or difficult to move. This makes it hard for us to represent them in the collection. We have to try and ensure what we keep is as true a true a representation of the piece as possible so that in 50 to 100 years it will be clear what the piece was about. What do these prize winning pieces bring to the collection? I think it’s been recognised that most art school’s collect as a representation of that particular year’s intake. 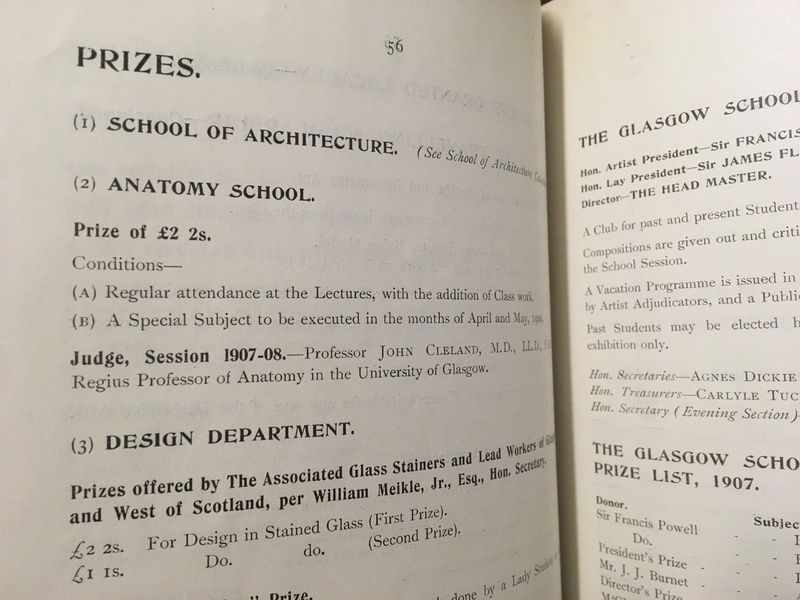 The key thing is that we are collecting these pieces for the future so that GSA Archives and Collections staff then will be able to show their audiences a good representation of what was happening in Fine Art, Design and Architecture in 2017/18. I think it’s important that we have this unbroken timeline where possible of work produced by students. At the moment, we’re in the process of back filling gaps in the collection from the past but it’s also important that we continue to represent what’s happening now. I suppose the thing is that no two years are ever the same and that’s a reflection on the quality and type of work that’s being produced. I think you could argue that in 20 or 30 years of collecting you can never have two years where work is similar and I suppose what I would like to see is continued diversification so that all departments have the opportunity to be represented.